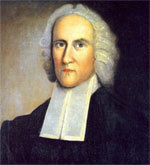 In the fall of 1757 Jonathan Edwards, the pastor-theologian-teacher, was asked to assume the presidency of the College of New Jersey, now Princeton University. A few short months later, on March 22, 1758, he passed away. It seemed an untimely tragedy for man whose ministry and work could have been hugely influential at Princeton. George Marsden wrote some insightful words following the death of Jonathan Edwards: “Edwards spent his whole life preparing to die. That isn’t to say Edwards was an escapist, shirking earthly responsibilities for the sake of a heavenly ecstasy. It simply means he labored to redeem every minute of every day for the glory of his Lord and Savior and to ready his own soul for standing in his presence” (Jonathan Edwards: A Life, 490). No matter what stage of life you’re in, I pray that this series is a helpful and hopeful reminder of how we can be Redeeming Every Minute for the glory of our Lord and Savior. On Sunday May 11, 2014 I graduated from The Master’s Seminary with my Masters of Divinity. It was the culmination of three and a half years of intensive theological study, late nights, and dreadful mornings. The ceremony was beautiful and optimistic: a chorus of praises to the Lord and a compelling charge from the Word. My fellow graduates and I talked extensively about the next stage of ministry life: the joys of delving into full-time ministry or further academic pursuits. Regardless of our plans, we had all learned so much about theology and ministry and were anxious to put it into practice. We parted ways that night eager to see how the Lord would use us for his kingdom work. On Monday morning, I made my regular commute to my normal desk job at a tech company. I’ve been tremendously blessed to work full-time, and it’s opened doors for conversations I wouldn’t have otherwise been able to have. I often talk to young adults who are starting their careers, dealing with uncertainty and a bevy of questions: should I stay with my current company? Should I look for a better job? Am I being treated fairly in the workplace? Sometimes I stumble to find words because the same questions echo through my own mind. 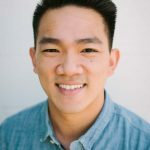 Should I pursue full-time ministry, or stay in the workplace and gain experience? How will I provide for my future family? Should I look for a better job? All these questions and more weigh on my mind all the time. Even now I don’t know what the Lord has in store for my future family and me, but I know that I have peace with God through the Gospel, which leads to peace with my current situation. Because Jesus Christ has reconciled me to God, I can praise God for uncertainty! And as I learn more about the God whom we worship, I am encouraged that my future is secure in His hands. God’s promises remain true: He will complete his work in me (James 1:4), He will free me of my slavery to sin (Rom. 6:6), and He will provide everything I need (Matt. 6:25-34), just to name a few. It is through uncertainty that God is proven to be the sovereign and loving Lord of all. It is through this uncertainty that my faith is strengthened and my hope restored. So my goal at work and in ministry is to redeem every minute for the glory of God. If my future is secure in the mind and thoughts of a God who loves me dearly, then there is nothing to fear. 1.God’s promises to us will always remain true despite the circumstances in front of us. The more we understand the God of the bible, the more we catch a glimpse of His amazing promises to believers. We can be assured that we have a loving God who is faithful in keeping His promises. 2.God’s sovereignty assures us that He is in control, especially when we think otherwise. Your situation is never out of the reach or control of our Lord. Though you might be uncertain, our God operates with absolute certainty.